Experience the Full Power of the Physics Toolbox and publish your own content! If you purchase any props or projects created with the Physics Toolbox, the Runtime features will be activated once you import it into iClone. The Runtime version simply allows you to operate the prop via the control panel, and allows you to modify the advanced control parameters. With the Runtime version, you are able to attach custom meshes as well as save to iProp and iProject format and export videos for commercial purpose. If the prop/project you purchased includes any other DRM-protected base content, you will see a watermark displayed if you do not also own that base content. In this case, you will also not be able to save to iProp or iProject format, and rendering/export functions will be disabled. 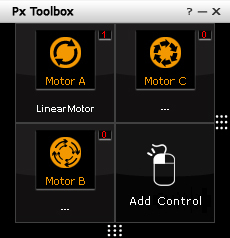 The Authoring Version of the Physics Toolbox is the complete version that provides you with the capability to freely assemble your own custom physics tools and machines, add custom meshes, save your content into iProp and iProject format, and publish your own work! The Authoring version allows you to apply DRM protection to the custom mesh of your physics prop when your content is published, helping to protect your creative output. You also have the option to allow users to load the iScript and customize your content further. How can you tell the two versions apart? The title bar of the Authoring version will be white with black text, while the title bar of the Runtime version will be black with white text that includes "Runtime" in the title. Clicking on the question mark will lead to the product page. 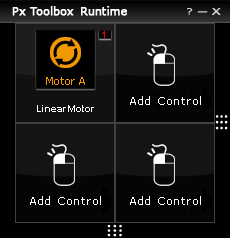 The panel to add controls once you double-click on an empty panel is disabled in the Runtime version. 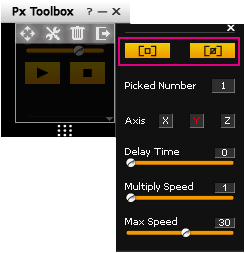 The 'Pick' and 'Unpick' options in the advanced physics panel are also disabled. How can Authoring version users create runtime outputs? Authors who have purchased the Physics Toolbox will be able to fully customize and use their own iProps and iProjects in their local machine. If Authoring version users would like to pass their designs on to other users to allow them to further customize and re-purpose them, they may also do so. Users who have not purchased the Authoring version are only able to use the iProps and iProjects with limited funtionality. Developers can determine whether their design can be re-purposed or not, by adding DRM protection to the prop mesh via the Content Uploader. You can use a custom mesh with DRM protection and load the iScript separately to protect your own design. Copyright © 2012 Reallusion, Inc.